As you may be aware, on January 25, Governor Inslee declared a public health state of emergency after reports of 31 confirmed cases of measles were identified in the state. We currently do not have any cases of measles in Lake Washington School District. 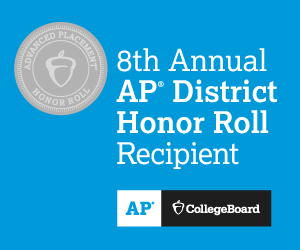 Lake Washington School District (LWSD) will have a Capital Projects Levy on the April 23, 2019 ballot. Information on the Levy is available on the 2019 Levy page of the LWSD website: www.lwsd.org/2019-Capital-Projects-Levy. If you live in Lake Washington School District (LWSD) and your child will be five years old on or before August 31, 2019, it is time to register them for Kindergarten. 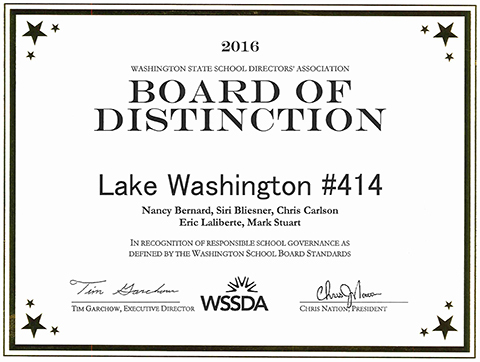 Lake Washington School District’s (LWSD’s) 2018-19 Budget has earned the Association of School Business Officials International (ASBO) Meritorious Budget Award (MBA). 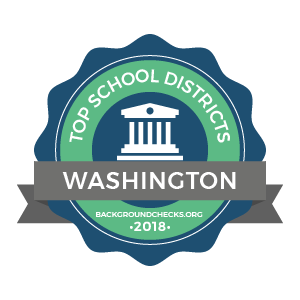 Forty-three Lake Washington School District teachers achieved or renewed their National Board Certification®, as announced by the National Board for Professional Teaching Standards (NBPTS).